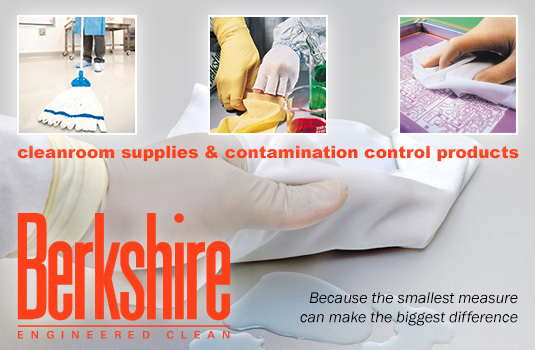 QSource.com has added a new resource for your cleanroom/critical environment needs: Introducing Berkshire Corporation cleanroom and contamination control products. Hundreds of Berkshire solutions for critical surfaces and controlled environment applications are now available at discounted prices. These high-quality cleanroom and contamination-control products are now available in our Berkshire Corp. Department at QSource.com. If you have further questions about how Berkshire products can work in your controlled environment, please contact us via email, our Web site form, or by calling us at 800-966-6020.